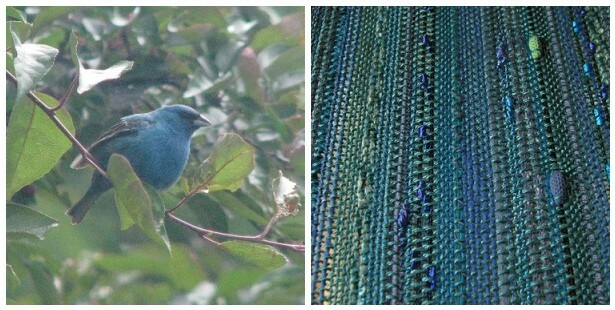 This beautiful indigo bunting was looking in the window as I was weaving these blue scarves. Probably trying to beat the snot out of the bird in the reflection; but I like to think he was admiring my color choices. Beauuuutiful! Lovely yarn, lovely scarves. Stunning, simply stunning color! 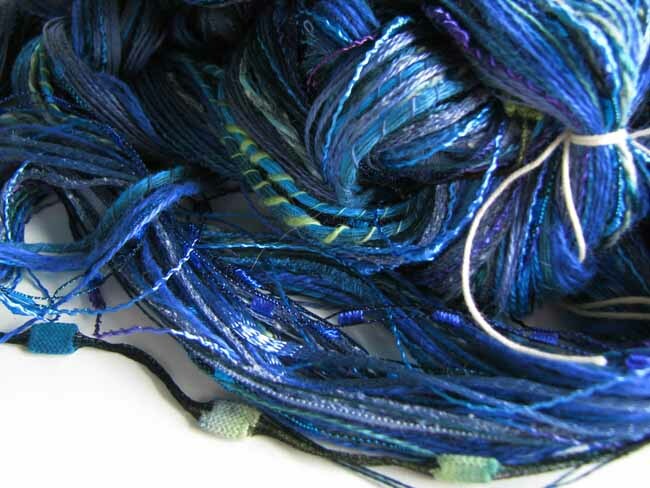 U an sure your threads attracted the bunting…thinking a mate? I, of course, meant…"I am sure", not "U an"…did not know how to delete the post and correct??? 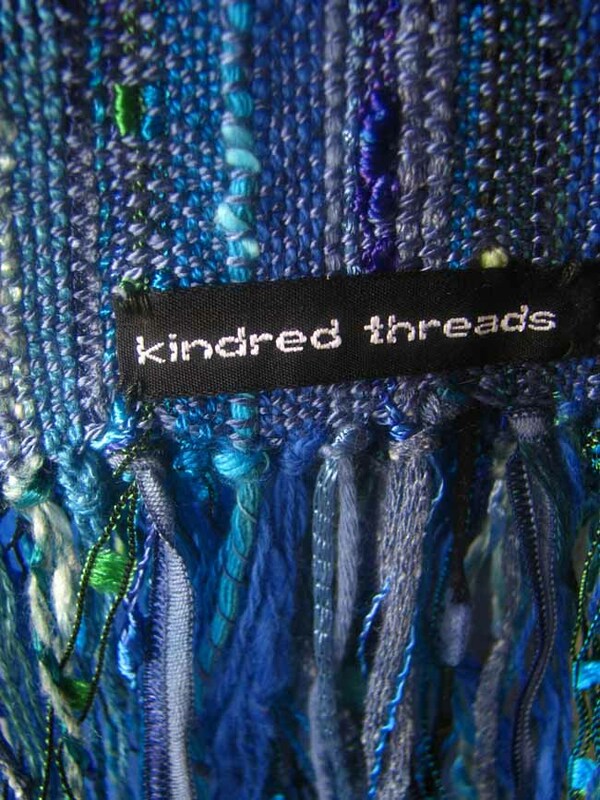 the varying warp threads creates such lovely texture in the scarves; very pretty! 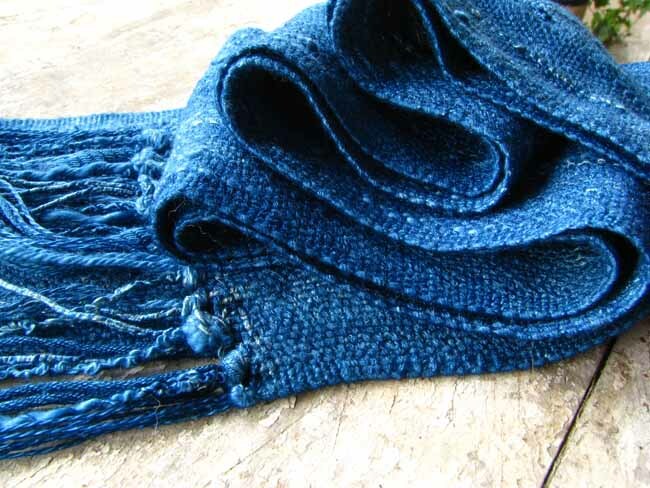 did you have to take any special measures when threading them onto the loom? I just had to make sure that my reed was not too close set. 8dents/inch I beleive. 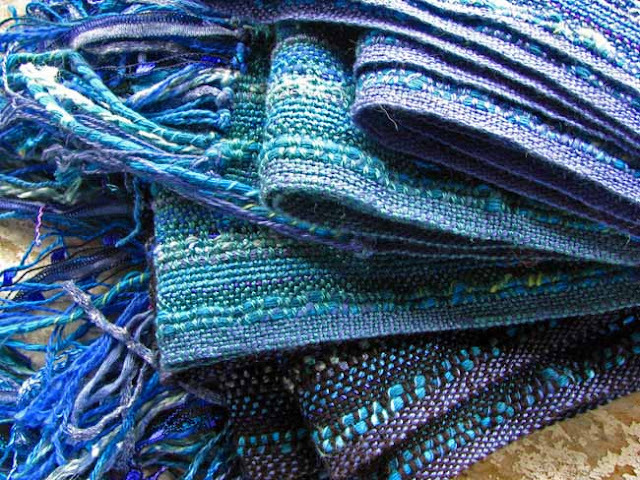 Fun to weave! 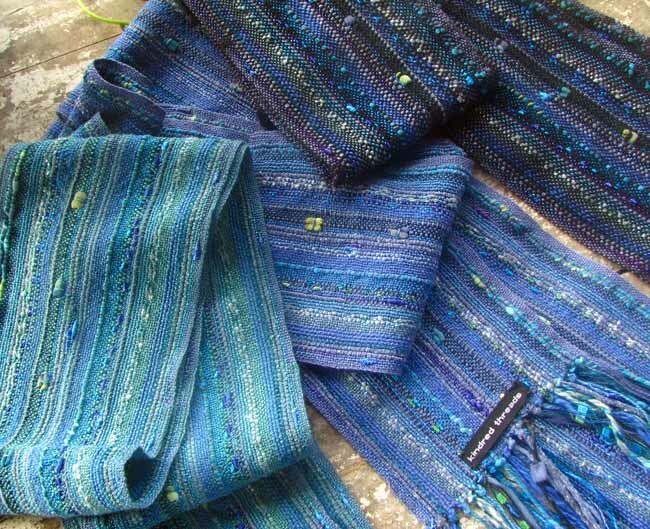 These scarves are beautiful, so much lovely stuff!